Distillery Tours – Monday-Saturday • 9:30am –3:30pm, Sunday • 12:30pm –3:30pm. Closed on New Year’s Day, Easter Sunday, Thanksgiving Day, Christmas Eve, Christmas Day and Sundays in January and February. General admission tickets are $10. 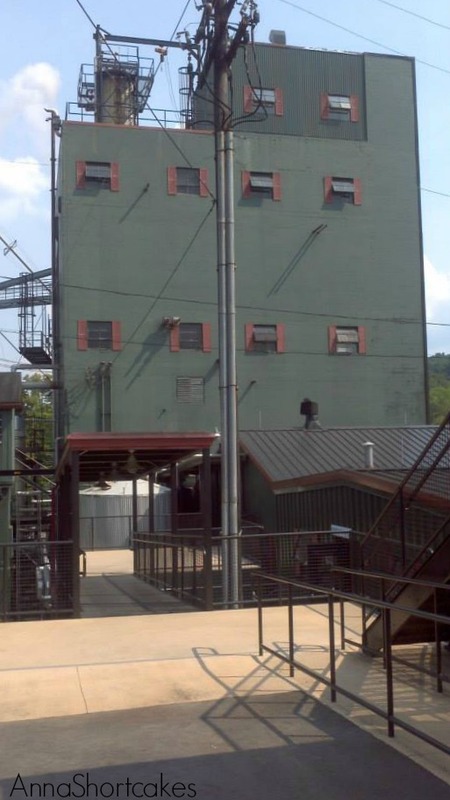 What makes Jim Beam Distillery different from other distilleries? They have a large museum of special limited-edition decanters, first introduced in the 1950s. It’s a pretty neat look back at advertising in the past. They sell the most bourbon of all the distilleries on the Trail. The legendary forefather’s of bourbon, the Beams, came to the US from Germany, bringing with them their whisky brewing know-how. Jacob Beam was the first member of the Beam family to sell bourbon. In the early 1800s, it was later more widely distributed David Beam. 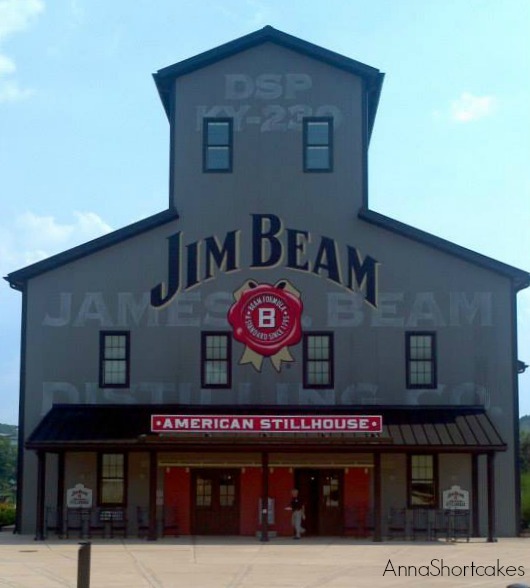 With each subsequent generation (and there have been 7), Jim Beam bourbon distillery has expanded. Today it is so large it has it’s own New York Stock exchange tag: BEAM. They have expanded from bourbon to BBQ sauce, snacks, hams, jellies and glazes, clothing, and even charcoal. This was my least favorite tour of the Bourbon Trail. This analogy explains it all- Woodford Reserve is to Jim Beam, as a locally owned general store is to a Kroger Marketplace. So it is huge! As we drove toward the grounds, we passed a nice white barn painted with the Jim Beam label. Kind of cool. The road up the hill was well paved with newly planted landscaping; it wound through several rickhouses and past a country church. The road ends on top of the hill among a small city of buildings. The main building you see is their “American Stillhouse.” It is where you purchase your tour tickets and then wander around their extensive collection of gift shop merchandise. Our tour guide was a 20 something year old guy who was clearly not passionate about bourbon. Not that he wasn’t informative. He was. His tour was so obviously a memorized spiel, like if you swapped things up he would lose his place and the tour might fall apart. Honestly, I am not sure why I expected something else. The distillery itself turns out hundreds of thousands of cases of bourbons and whiskies each week. Unreal! If the production is so commercialized, I should have expected that the tour would be as well. OK, so enough of my gripes. It was really cool to see the huge machines and vats they use to distill their bourbon. Their column still is FIVE stories tall!!! All that bourbon needs to be bottled and quickly. 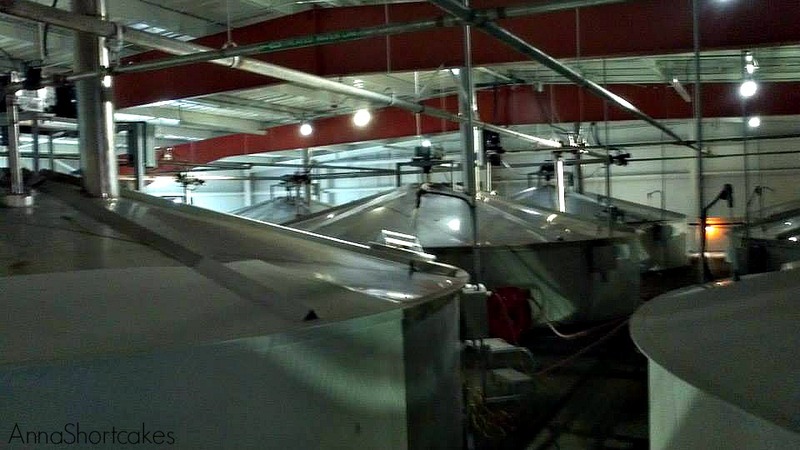 They have a several lines for the bottling, run 8 hours a day. The line was saw has bottled as many as 1800 cases a day! Blows my mind! I have always had a fascination with mechanized things so I really enjoyed seeing this part of the tour. Part of the bottling line. Look how fast that gushes out! 24 hours a day! Overall, I liked seeing this end of the two extremes of bourbon production. If this is your only bourbon distillery to visit, I am concerned that you won’t get a true good view of what bourbon and the Bourbon Trail is. This is great – I would love to visit and taste!